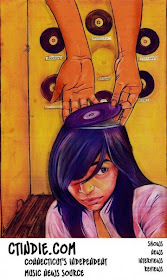 98.1 WQAQ plays killer tunes for Quinnipiaq U all day long. 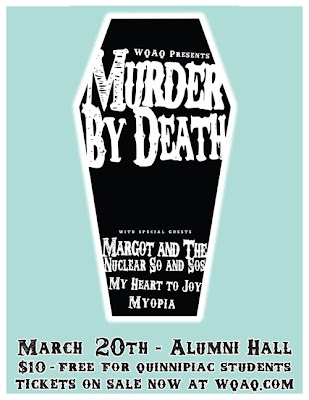 This year, they're holding a spring concert that will feature Murder by Death, Margot & the Nuclear So and So's, My Heart to Joy, and Myopia. Tickets are $10 for the public but free for QU students and available now at WQAQ's website. The show is Saturday, March 20 and the doors are at 7:00 pm. Indiana's Murder by Death is just about to release their new album, "Good Morning, Magpie." They're a huge act; playing alt-folk with a dark southern gothic streak to it. They'll be playing this show just after playing some big shows at SXSW with both The Low Anthem and Black Rebel Motorcycle Club. Margot & the Nuclear So and So's are also from Indiana, and similarly play darker alt-folk. The bands are so close, they could be brothers - some sort of reunited fraternal twins seperated at birth. I stumbled across their Daytrotter session a few months ago and have been wondering if they were ever going to make it to CT. Looks like now's my chance. 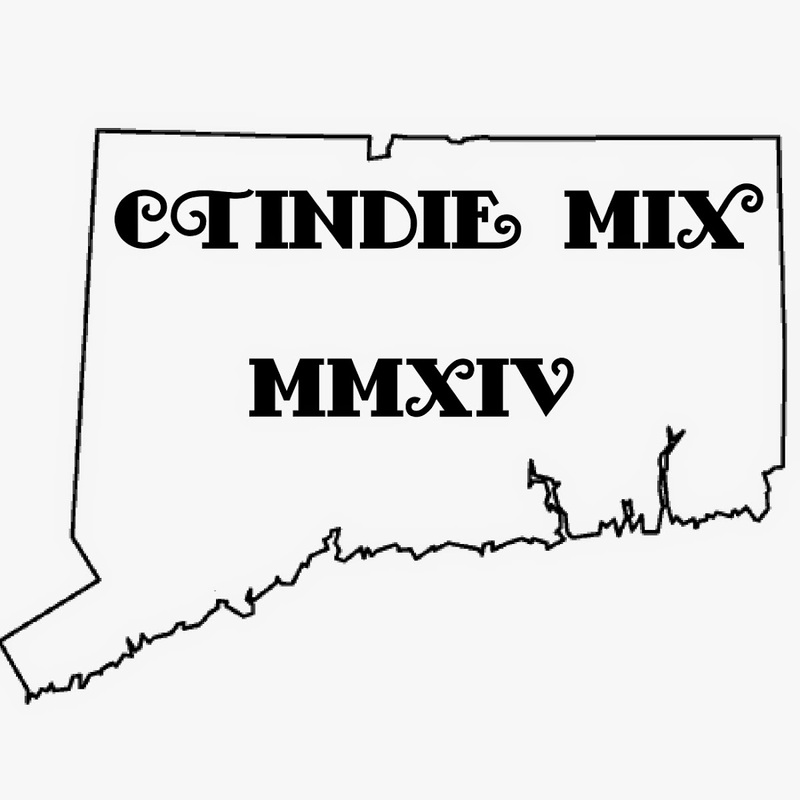 Also on the bill is New Haven's Myopia. It seems like an odd band to tack onto a bill like this - they play some ridiculously shred-heavy prog metal. But hey, you've got to give the people what they want, and the people want metal.